Let me start by telling everyone that the book is beautiful. The photographs are mouth watering and I specially love the personal stories she shares at the beginning of each recipe which gives us a glimpse into her french life. And true to Dorie style the recipes are not complicated but very straight forward unfussy food. 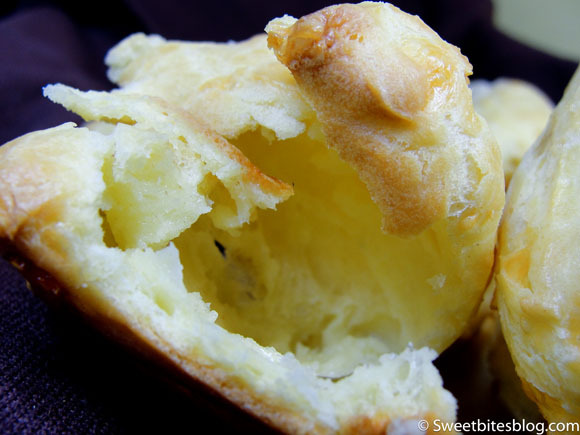 And since we are discussing unfussy good food, the inaugural month recipes have been chosen by none other than Dorie herself and first up to bat is the French take on choux pastry the Gougères. As Dorie’s mentions these are considered by the French a national treasures and they are made everywhere in France. Now we can say they were made all over the US, this past week at least. 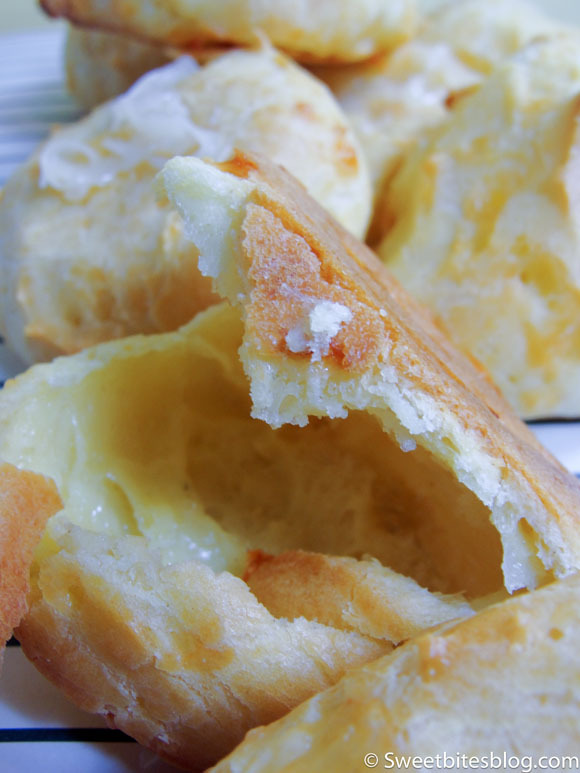 At the root of it all, the recipe start by making the choux pastry and giving them their savory twist with a good amount of Gruyère cheese, which is one of my favorite cheeses. You can use other cheeses, but trust me spending the money for a good block of Gruyère is totally worth it. I was in heaven. I made half of the recipe, with no issues. The aroma of the steam that drifts out of the oven as the puffs cook is captivating, it so fascinating to see the puffs almost triple in volume. Once they are cook, they are firm and crisp on the surface and base, while the inside is soft, moist and cheese-sy. The perfect recipe to have as the best appetizer for any dinner party. Or in this case, a Thursday night catching up on our DVR viewing.